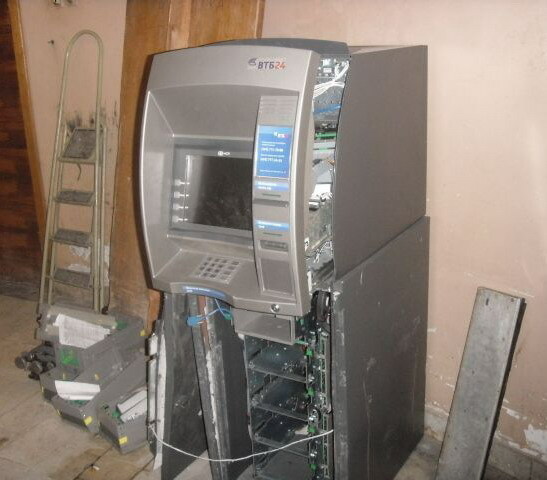 Coming early to work people has found their local ATM trashed without mercy. 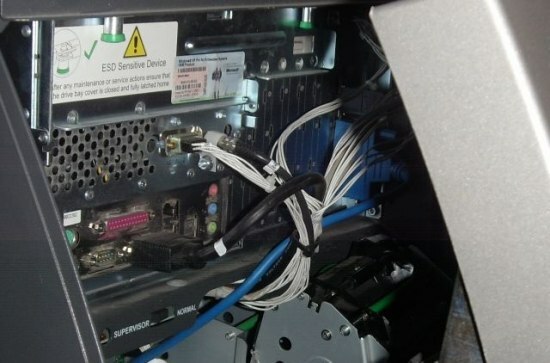 It was a pretty recent make machine – like from 2007 and still it took just some small time for robbers to virtually destroy it all. Three money slots were left emptied nearby. Also now we know that deep inside the atm there is a windows xp sticker like on the back of your laptop. I wonder how they got the safe door off. 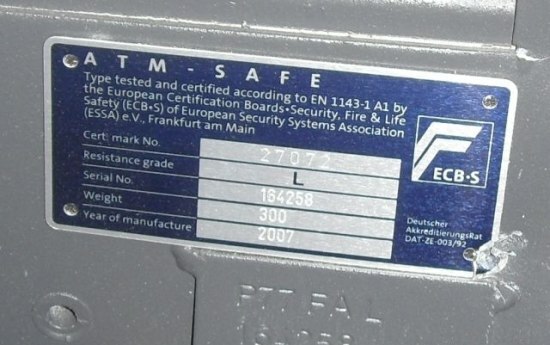 “Fire and life safety”! ! ! ! !but who care about the “money”! ! ! !.in Russia “machine” robbed you ! ! ! ! ! 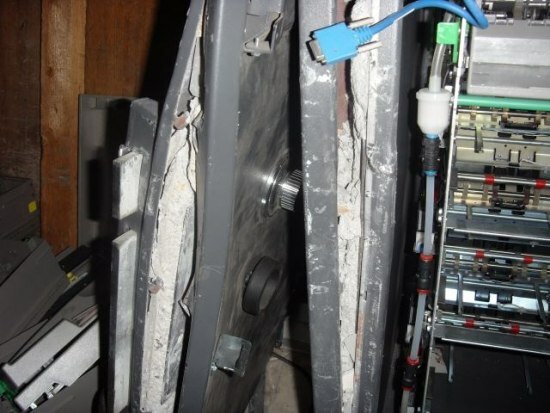 Looks like the frame was bent with a crowbar and the door was just then easily popped off. Not a very good design. The best doorjamb jacks are made in Israel for the military. Great idea but of course that will not stop the ATM thieves for long. 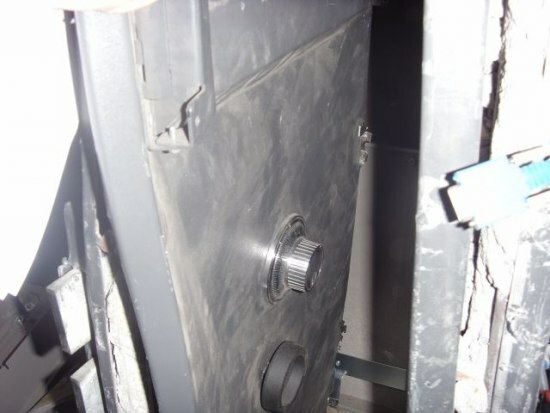 The thieves always outsmart the safe makers because they think about this all day long…..
OMG….. where my money is??? Every bank deciding to use Windows is asking for trouble. In Russia bank robs you! In America the banks rob you! Amazing what you can learn, Off to Brazil. Buenos nochez comrades. 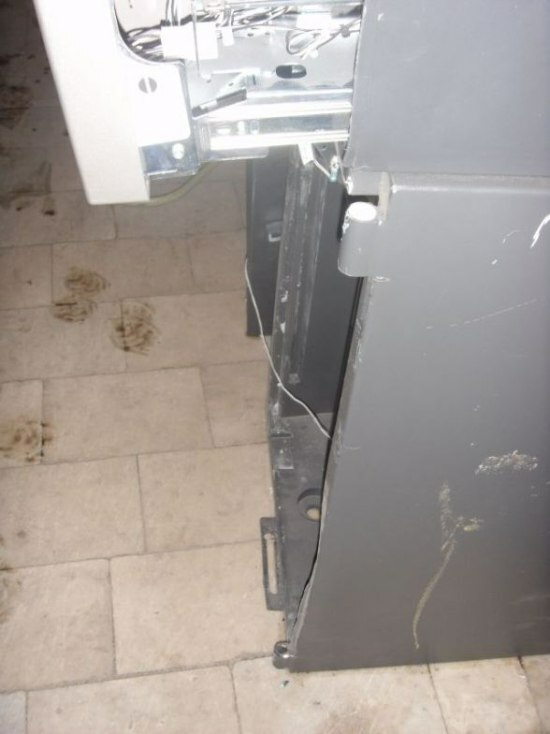 The Russian bank tellers are behind thick bullet proof glass and the ATM’s are very thin and flimsy.That ATM is like the one I pulled rubles out of in the subway hall.Lets see…how many rubles equal $100 US dollars! The Russian bank tellers are behind thick bullet proof glass and the ATM’s are very thin and flimsy.That ATM is like the one I pulled rubles out of in the subway hall.Lets see…how many rubles equal $100 US dollars!! 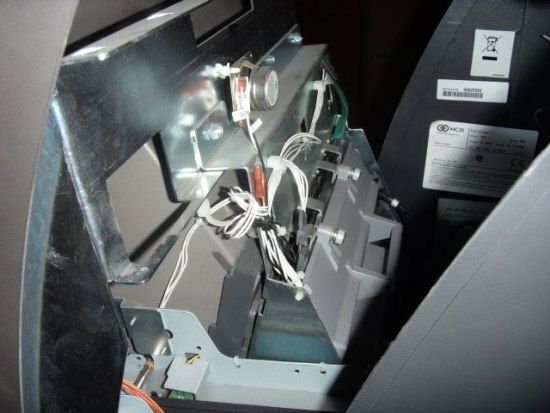 The Russian bank tellers are behind thick bullet proof glass and the ATM’s are very thin and flimsy.That ATM is like the one I pulled rubles out of in the subway hall.Lets see…how many rubles equal $100 US dollars!!. Newest British ATMs have Windows 3.1 stickers. You had some nice points right here. I completed a investigation about the subject and got most peoples will agree with your website.